Have you been looking for the best Mercedes repair services in Oakland? Stop by Berkeley Motor Works today! We're a Diamond-certified vehicle repair shop that's been in business for over 20 years. 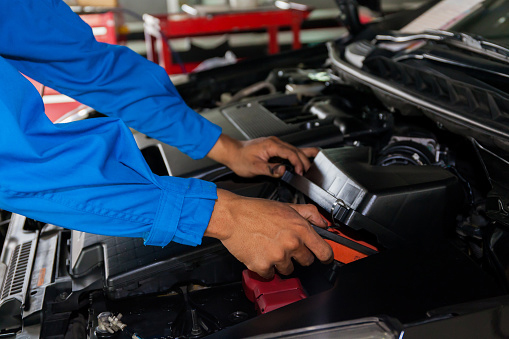 You can count on us to pay careful attention to our customers' vehicles, always focusing on keeping your cars running in top condition for as long as possible. Having quality customer service is important to us, and you can trust that we'll treat you and your vehicle with careful attention and respect. Our highly skilled technicians, who provide you and your Mercedes with any necessary services, are top-rated and have over 15 combined years of experience. In addition to general BMW maintenance and repair, we also provide repairs for Minis, engine repairs, differentials, brake inspections, oil changes, general tune-ups, transmission repairs, and other auto repair services. If you're still wondering why Berkeley Motor Works is the go-to shop to find the best Mercedes specialists, fill out our online appointment request form or check out our website to read the testimonials of our loyal customers and find tech tips. You can also give us a call to discuss your vehicle's needs. We always provide early drop-off and pick-up hours to accommodate your schedule, and we even provide affordable financing with no available fee. Come visit Berkeley Motor Works in Oakland to repair your Mercedes today!